The promotion is any three (3) punch boards for USD$39 or any four (4) punch boards for USD$49. Yes, it is a great deal as one punch board normal price is at USD$19.99. But Crafty Saver is having it at USD$14.99 per punch board as their selling price without the bundle. However, with the bundle promotion, it is more great bargain as one punch board is only minimum USD$13! 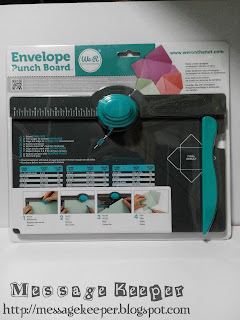 I tried to select the punch boards I want but above the six (6) punch boards, I only find that Envelope Punch Board is great use at my current level. I did find that Flower Punch Board useful but I could not find another one more punch board that I find useful at my current level. Thus, I decided not to be greedy and stick to Envelope Punch Board. 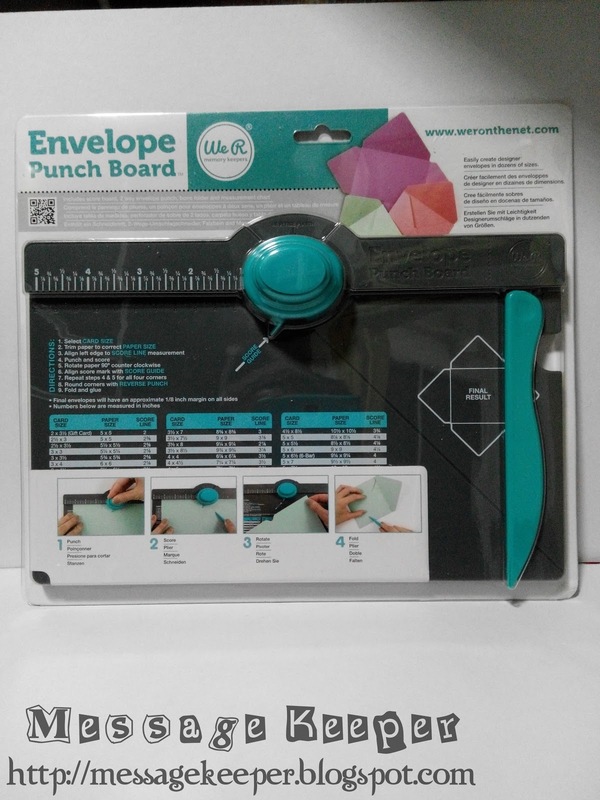 I have seen a number of review on Envelope Punch Board and mostly have good reviews. Furthermore, this Envelope Punch Board can make various sizes of envelope. Although I have Martha Stewart Scoring Board, making envelopes using Martha Stewart Scoring Board not really ideal. Actually I been thinking if I should sell off the Martha Stewart Scoring Board and change to the small scale Martha Stewart Mini Scoring Board. Well, that is another time thinking and comparison. 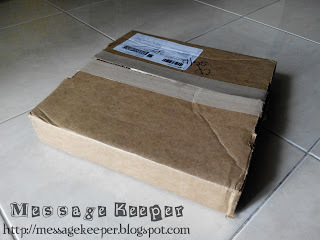 I was surprised that there is an acknowledgement slip on my door gate when my family and I come back from outing on Christmas afternoon which is a public holiday in Malaysia. I never know that there would be any delivery make on public holiday. Nevertheless, thanks so much to my darling hubby who picks up the parcel at the post office today. It caused him some difficulties as the parcel is quite big, 13" x 13" box and he rode a super motorbike to pick the parcel. Hopefully I am able to use this Envelope Punch Board more often as I recently have a habit of making non standard size cards.